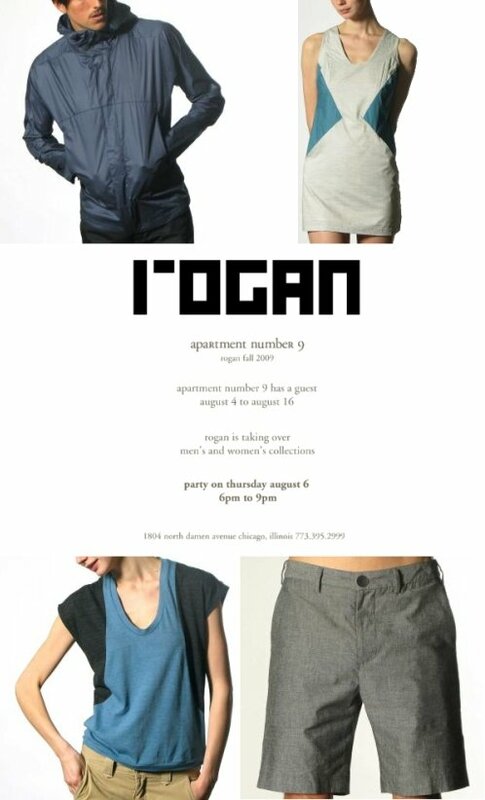 Party at Apartment Number 9 | 1804 N Damen Ave on Thursday August 6th to celebrate Rogan taking over. On hand will be both the men’s and women’s Fall 09 collection. Rogan will be in store for a limited time, from August 4th – 16th.